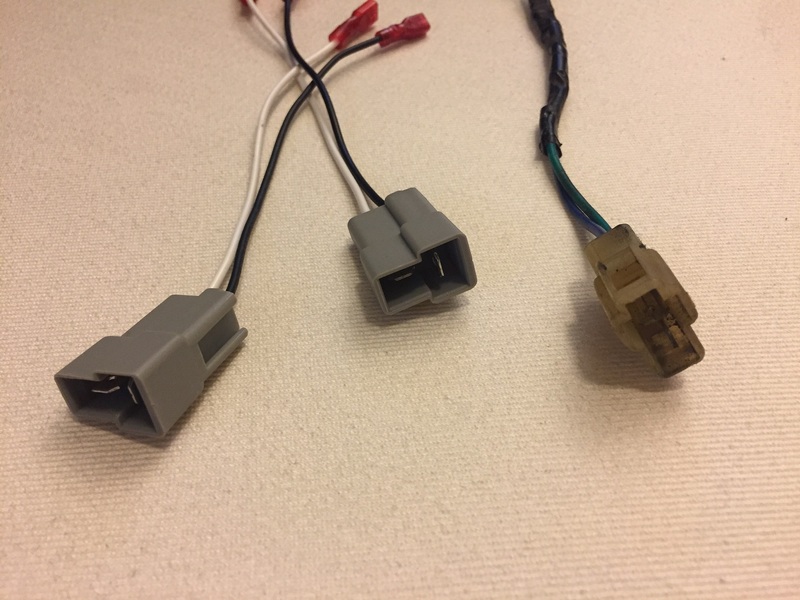 Nb speaker connector - Miata Turbo Forum - Boost cars, acquire cats. hello. I’m lookimg for the factory plug/connector for the door speakers in an NB If you replaced your door speakers with aftermarket units most likely you cut these off and tossed them in a box somewhere. If you have a set please let me know as I need them for a project. They should fit in a normal padded envelope and can ship first class for cheap. Let me know y’all. Thanks!! Last edited by mrmonk7663; 06-29-2018 at 02:38 AM. Is that the female end? Should be the male part. 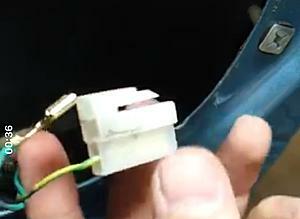 It’s the part that is part of the car’s wiring from the factory. The female end is readily available on eBay/Amazon. I have these. The grey connectors don't have the retention slot for the OEM connector, but if you really care you could use a Dremel bit or something to cut one in. I find they stick together well enough without. Does it happen to have a link on those? Looking in replacing my factory speakers but not a fan of cutting plugs off the factory loom if I can avoid to do so. Yah the grey female ones in your picture are available everywhere on amazon and the net. Those are male, not female, but yes they are available everywhere. Again, please clarify which you want—male, or female. Lol. Well I guess I want female. You are right. Sorry for the confusion. In that case, I think I have a pair of door jamb gaiters with the wires going through; those should have a female connector on the end. Huesmann came through for me. Thanks for the help everyone. Need CAS harness connector and ECU connector.